Shame is one of the most destructive of human emotions. If you suffered childhood physical or sexual abuse, you may experience such intense feelings of shame that it almost seems to define you as a person. In order to begin healing, it’s important for you to know that it wasn’t your fault. 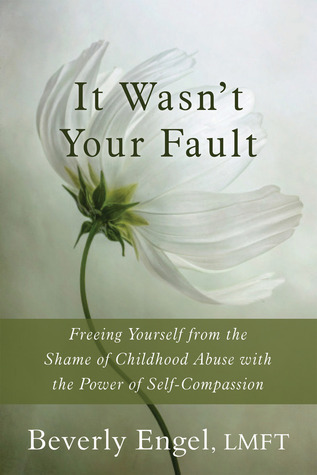 In this gentle guide, therapist and childhood abuse expert Beverly Engel presents a mindfulness and compassion-based therapeutic approach to help you overcome the debilitating shame that keeps you tied to the past. By following the step-by-step exercises in this book, you’ll gain a greater understanding of the root cause of your shame. And by cultivating compassion toward yourself, you will begin to heal and move past your painful experiences. Recent studies show that trauma survivors, particularly those with post-traumatic stress disorder (PTSD) resulting from abuse, can greatly benefit from incorporating elements of self-compassion into their treatment. Furthermore, the practice of self-compassion has been shown to decrease PTSD symptoms, including, self-criticism, thought suppression, and rumination. This book is based on the author’s powerful and effective Compassion Cure program. With this book, you will develop the skills needed to finally put a stop the crippling self-blame that keeps you from moving on and being happy. You’ll learn to focus on your strengths, your courage, and your extraordinary ability to survive. Most of all, you’ll learn to replace shame with its counter emotion—pride.